The life of every individual animal is precious, and elephants are especially revered. When one of them is behaving strangely, it becomes a matter of great importance. 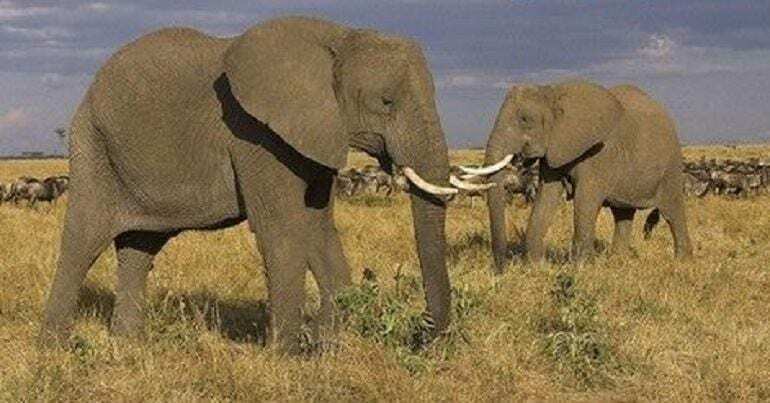 That’s why a team of researchers grew concerned after an African elephant acted out of character, though they would never have anticipated the reason behind its strange behavior. 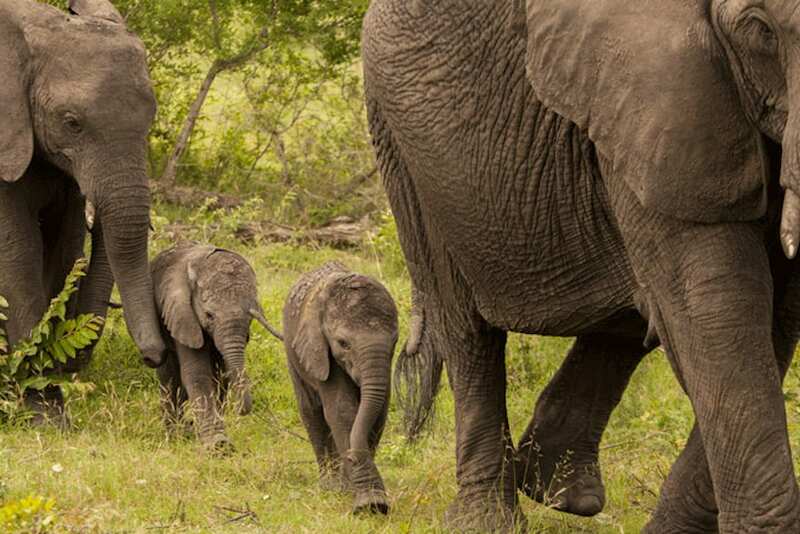 There was once a time when you’d see elephants freely roaming the wilderness in their packs. However, ever since hunters started targeting the animals, efforts have been put in place to protect the species while we still can. Many of these herds are now found in conservation areas where they’re free to live their lives under the watchful eye of rangers. 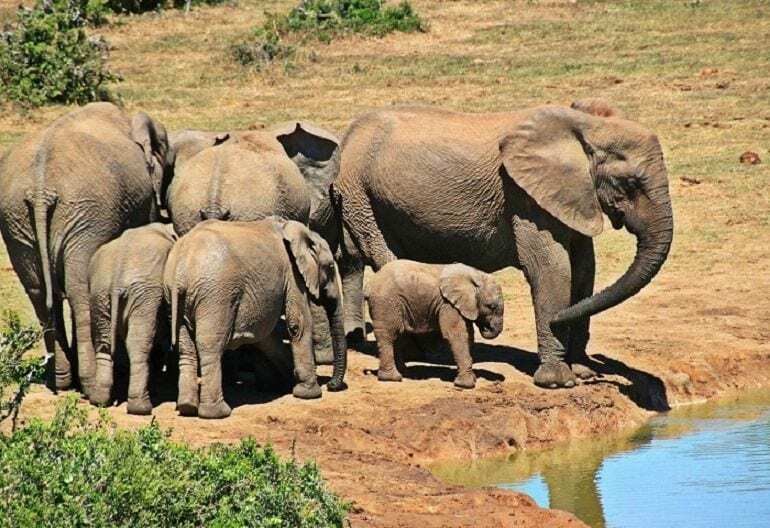 The people who work to keep these elephants safe are incredibly devoted to their job, which is why they worried when one of the animals started acting strangely. There are plenty of these conservation parks over the world, with most of them concentrated in Africa. 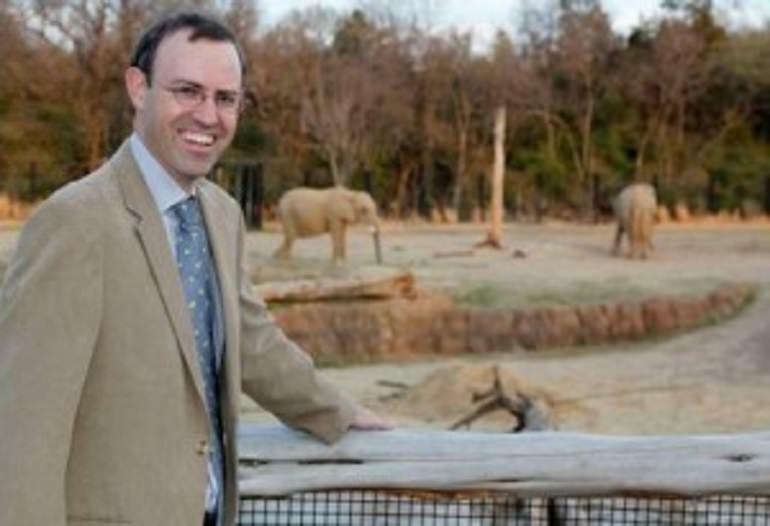 One located in Tanzania – the Wildlife Conservation Society’s Tarangire Elephant Project – is of particular interest as its home to Dr. Charles Foley. 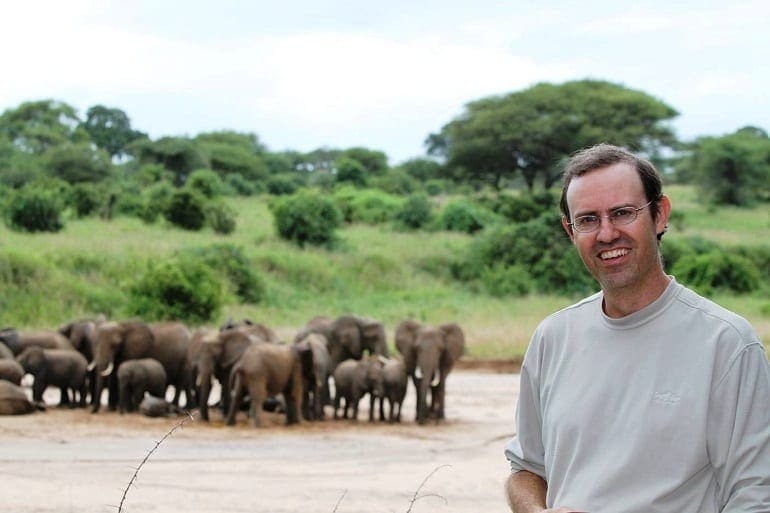 The researcher and avid elephant enthusiast has been working tirelessly for 25 years to study the animals and keep them safe, and it was him who discovered the peculiar behavior. There was one elephant in the park that always caught his eye, but little did he know how important they would soon be. The animal that continually attracted the doctor’s attention went by the name of Eloise. At over 50 years old, she was one of the older members of her pack, but that wasn’t what made her so special in Foley’s eyes. He didn’t know what it was about her that made her so intriguing; he just loved to spend time with the animal as much as possible. Soon enough, he’d discovered all he could about her and her herd, from their migration patterns to where they ate and slept. Part of Dr. Foley’s interest in Eloise and her pack is probably related to the fact that there are so few of her species left in the world. 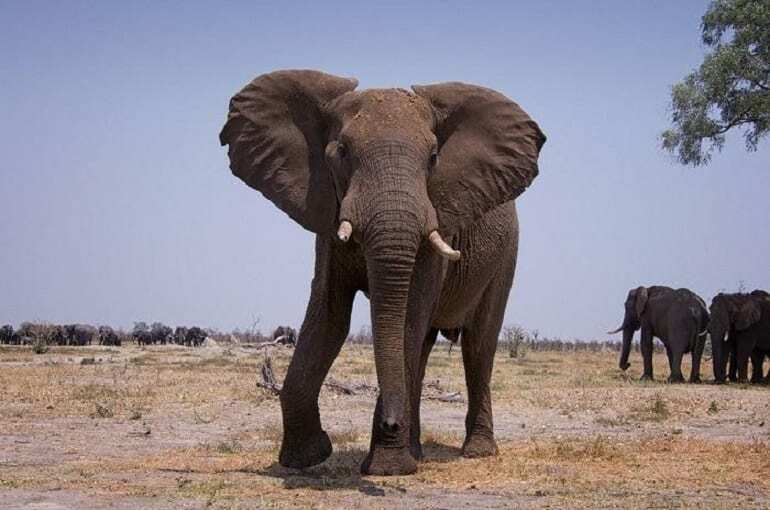 Just over 100 years ago, there were speculated to be 3-5 million African elephants roaming around, but that number has shot down drastically over time. Now, there’s only approximately 415,000 of them left, most of whom live in zoos or conservation parks. That number might still seem huge, but the rate at which its declined is a considerable concern. Thankfully, the work of conservation parks helps the animals to thrive in the wild. It gives them somewhere safe to live and breed so that their species can grow in number once again. It’s not just elephants who feel the benefits of these areas. Other animals like zebras and lions also make their homes here, with all of them present at the Tanzanian conservation park. 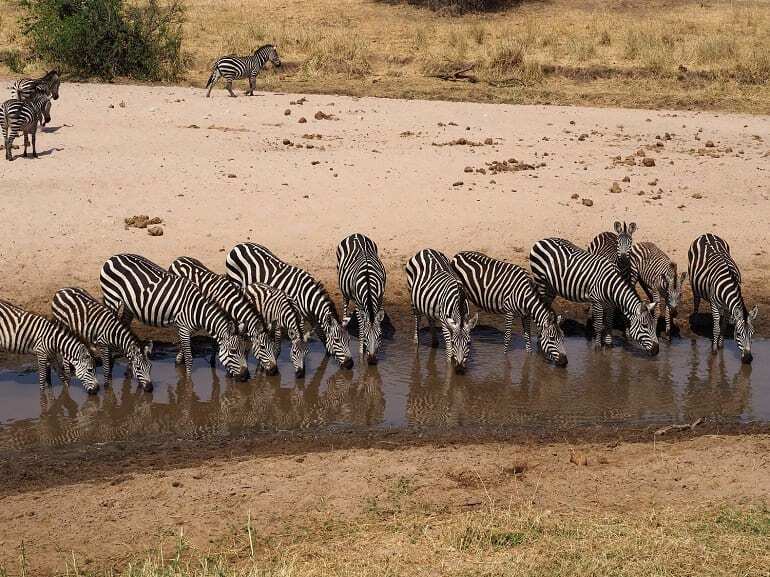 They get to live without fear while also enjoying what nature has to offer, including water straight from the Tarangire River. It runs straight through the park. Of course, it takes more than just the help of human intervention for a herd to thrive. That’s where Eloise came in. 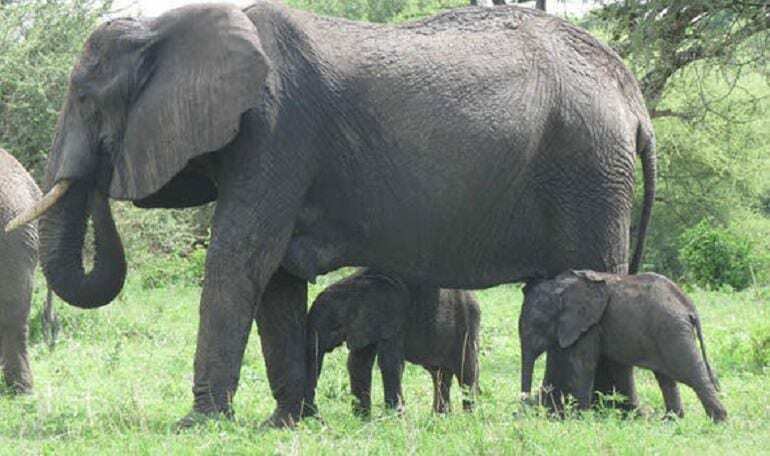 She acted as the leader of the pack and often reassured the younger elephants with her motherly presence. She showed them what to do and always did it with love, which is probably why Dr. Foley noticed her more than the others. He stated that her caring nature made her like a friendly dog and who doesn’t love one of those? Eloise was indeed a special elephant. Despite getting on in years, the motherly elephant never showed any sign that she was getting old. She was as energetic as the younger animals in the herd, and never failed to make her presence known to Dr. Foley and his team. She seemed to enjoy getting their attention more than anything, even though most older elephants would typically keep to themselves. It made Eloise that much more interesting to watch, which is why when things changed, the doctor instantly knew that something was up. 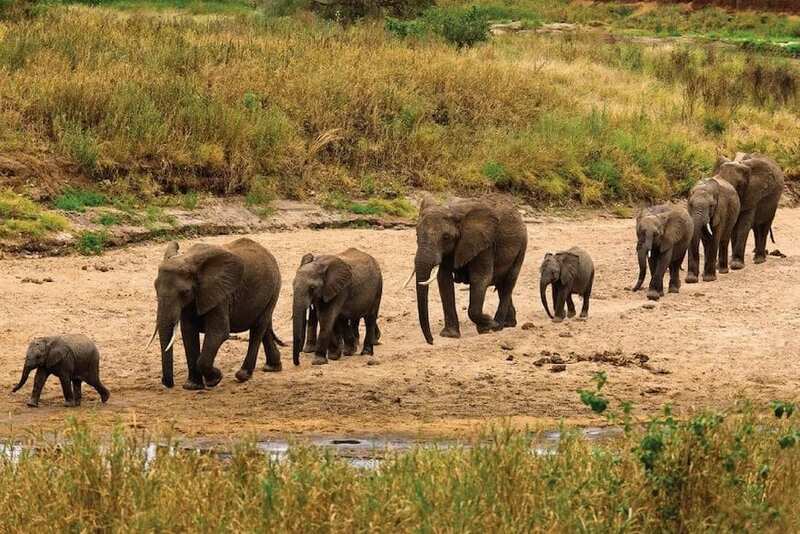 Every year during the dry season, elephant herds migrate to try and find food and water to keep them alive. Although they tend to walk up to 75 miles to find these resources, Eloise was always up for a challenge. 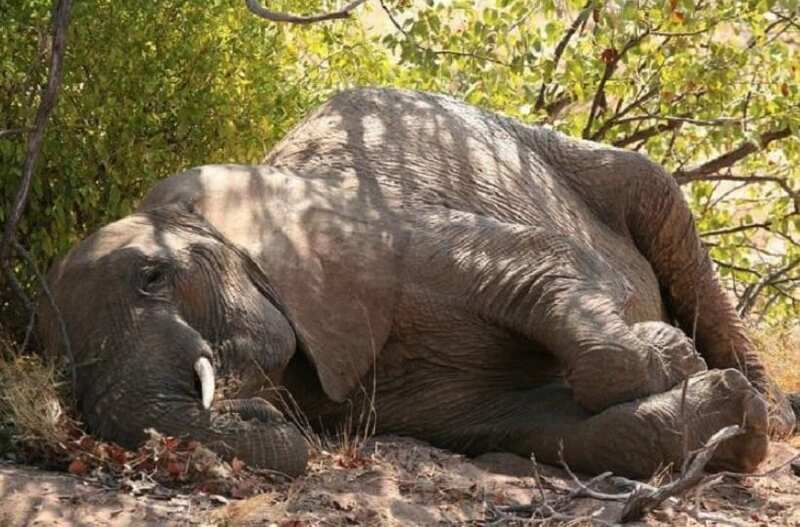 She’d go for 100 miles just to find what she needed, another sign that this elephant wasn’t down and out yet. However, one year things were different. The dry season tends to make the species more sluggish, and Eloise was showing that more than anyone else. What had changed? As the days wore on, Dr. Foley became increasingly concerned about the elephant’s behavior. Gone was the fun-loving, active Eloise, now she was behaving a lot more like her age. She was lying down regularly and no longer leading the herd. She also appeared to have developed a temper and lost her patience with the younger elephants quickly. This wasn’t the Eloise that the research team knew and they feared that the heat was having a more significant effect on her than usual. Was she falling ill? Unfortunately, these changes didn’t go away once the dry season was over. Even though the heat was less overbearing and the animals had more water at their disposal, Eloise was showing no improvements in her behavior. She was just as distant from the rest of her herd as she had been before, leading Dr. Foley to wonder if she was on her way out. It wasn’t something he wanted to consider given how close he’d become to the animal, but all signs seemed to be pointing in that direction. Any hope that Eloise would improve disappeared a little more with every day. She was continuing to eat, but her behavior had transformed entirely from how it had once been. Dr. Foley considered that Eloise might be sick, something that would prove to be problematic for the rest of her herd. If she was unwell, there was a good chance she’d infect the other elephants around her. To stop that from happening, the team doubled their efforts to watch over the once-motherly elephant and search for answers. One thing that Dr. Foley and his team did notice was that the other members of the herd gradually became overly protective of Eloise. It was like they knew something that no one else did, and it made the researchers wary of getting too close. If that wasn’t strange enough, though, the whole pack just up and left one day. Dr. Foley arrived to find that the elephants had gone and he couldn’t see any hint of where they’d disappeared to. Had a group of hunters caught them? Dr. Foley searched high and low for the herd, but to no avail. It was as if they’d all just vanished off the face of the Earth, but he knew that wasn’t possible. There had to be a rational explanation for their disappearance, and he eventually found one when his co-worker called him. They’d discovered the herd and Eloise was with them, so the researcher wasted no time driving over to where they’d been spotted. He wasn’t anticipating the sight that met him once he arrived, though. The researcher was amazed to discover that Eloise, his beloved elephant, had been pregnant. All of her symptoms were signs that she was with child, but Dr. Foley hadn’t even considered that a possibility. It’s not common for someone of her age to be pregnant, so why would he have connected the dots? Clearly, the rest of the herd becoming protective of Eloise was a sign that they knew about the baby and wanted to keep the mother safe. Thankfully, this meant that she probably wasn’t going to pass away anytime soon. If Eloise being pregnant had been a big surprise, then what Dr. Foley later discovered must have really blown him away. 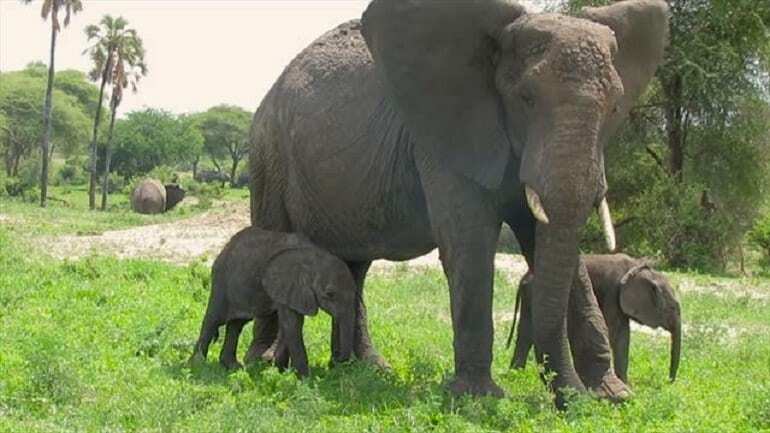 The older animal had given birth to twins, something that rarely happens when it comes to elephants. Only 1% of their births produce multiple offsprings, so clearly the animal’s pregnancy was a miracle in more ways than one. Unfortunately, things weren’t too good for Eloise. When there are multiple births, one of the calves tends to lose their life because there isn’t enough food for both of them. Upon arriving at the scene, Dr. Foley noticed that the youngsters were looking rather thin. What’s more, with Eloise being an older mother, she didn’t have the energy to help them in their time of need. 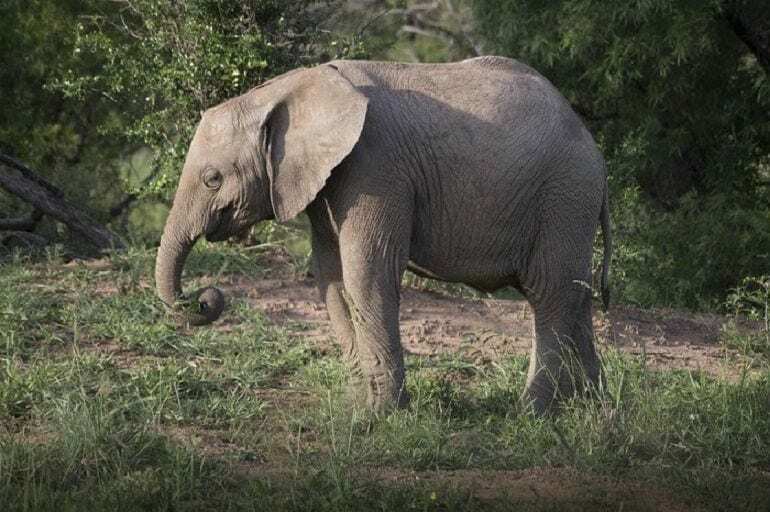 However, after recovering from her pregnancy, the elephant slowly got her strength back. Although things looked touch and go for a while, Eloise eventually returned to her old self and helped both of her calves through the difficult early days. Soon enough, all of them were healthy, and everyone breathed a sigh of relief. 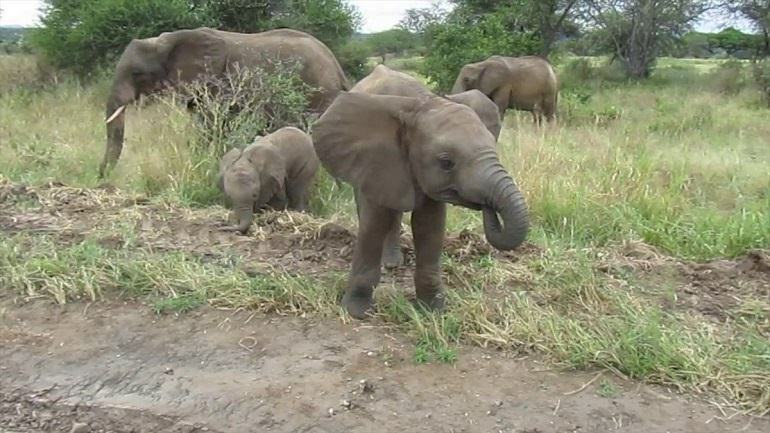 The research team were glad to see more additions to the herd and affectionately named the calves Emma and Elon Tusk. They’re the first twin elephants born in the Tanzanian park in 18 years, while Eloise is now the oldest of her species to give birth. Believed to be 57 years old, no other elephant of that age has gone through the same miracle as her. You’d think something like that would leave the elephant feeling weak and in need of rest, but she still had plenty of fight left in her. It’s hard to understand just how miraculous Eloise’s birth is without realizing what’s normal for her species. 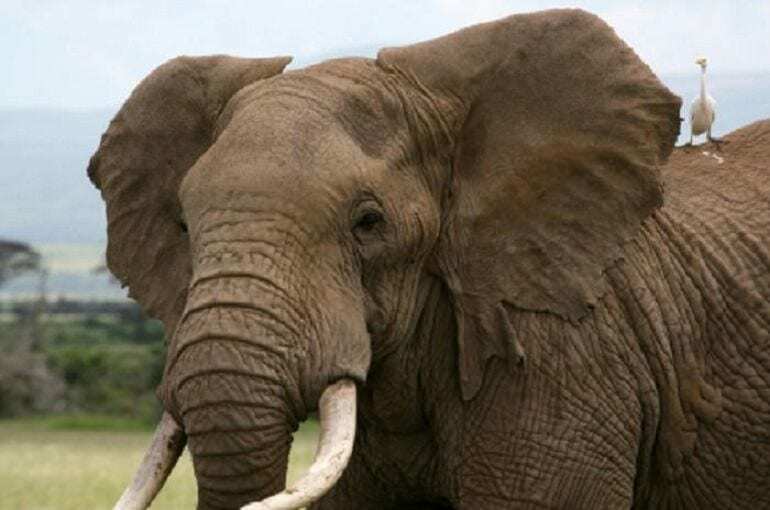 Female elephants rarely ever get pregnant over the age of 50, especially as they don’t tend to live much older than 60. In most cases, it’s not physically possible for the animal to carry a child, but Eloise defied all the odds. Unfortunately, at the age of 57, she’d be needing another miracle if she wanted to see her calves grow up. With only a few years left to live, her days were numbered. Eloise’s pregnancy was a long time in the making. 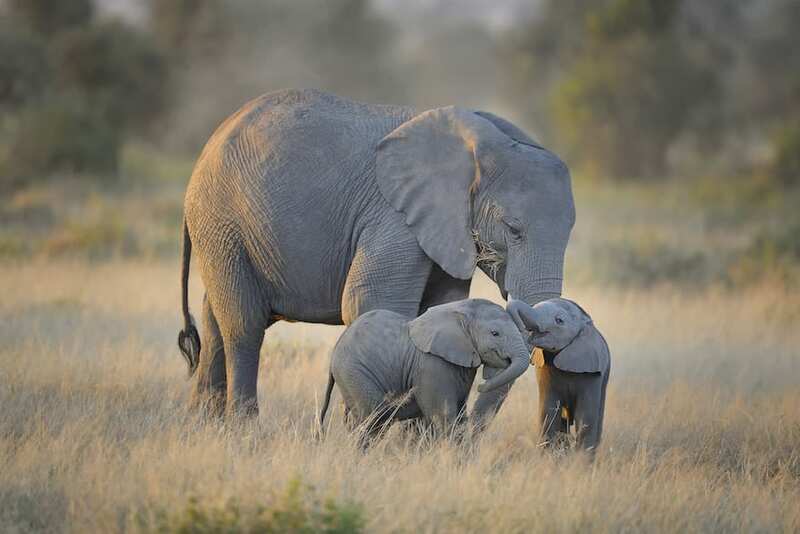 Elephants have a gestation period of two years, meaning that she was carrying around her two calves far longer than any of us would probably be able to handle. Her species actually has the longest pregnancies of all mammals, meaning Eloise certainly drew the short straw this time. You’d think that Dr. Foley might have realized the elephant’s predicament at some point during those two years, but the possibility of her being pregnant just didn’t register at all. It’s safe to say that the research team had their share of clues as to what Eloise was going through. Not least of all was the behavior of the others in the herd who became increasingly protective of the expecting mother. 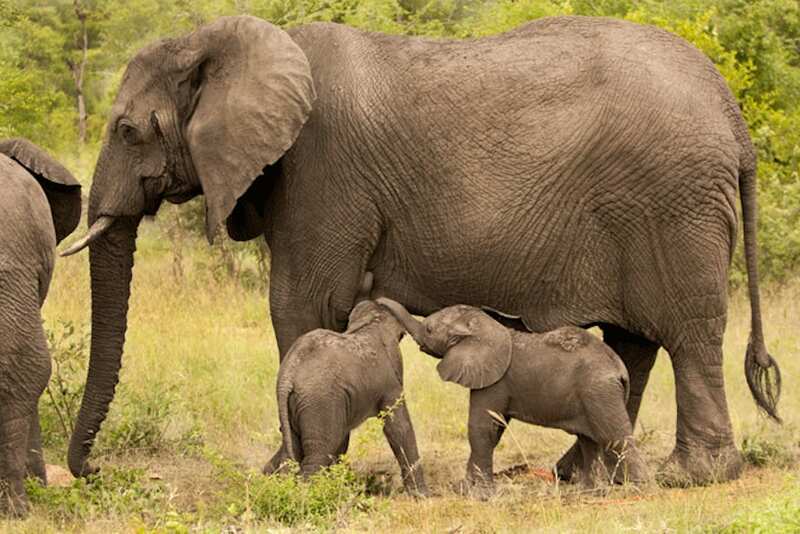 This is common for elephants to do, especially when someone in the pack is pregnant. 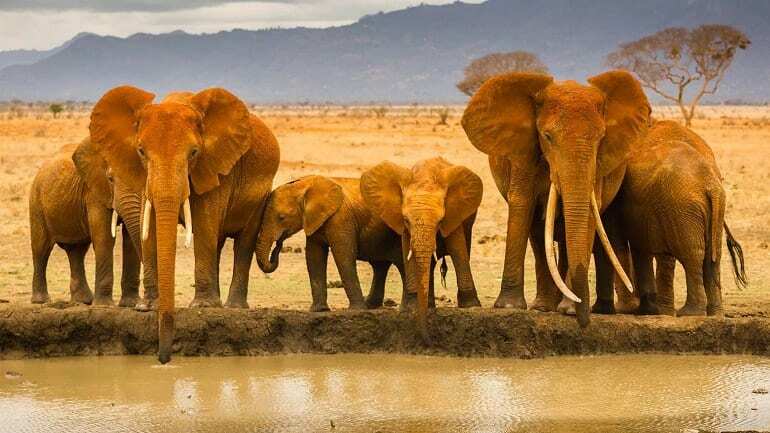 There’s strength in being a family, and the species will always stick together in their time of need. That’s why they tend to surround a female giving birth so that she’s protected from danger. Unfortunately, a lot of the responsibility of caring for the young rests on the mother’s shoulders alone. Usually, that’s not a problem, but when there are two calves to look after, it can be hard to give equal treatment to both. The males tend to be more competitive and will steal food, meaning there was a risk that Elon would cause Emma to starve. Thankfully, the young elephant seemed to be a model brother as he didn’t do anything to put his sister’s life in danger. While caring for her young might be Eloise’s responsibility, that doesn’t mean she was in it alone. Many of the female members in a herd will help out when there are new additions to the fold, and the older elephant definitely needed assistance. Not only did she have two calves to look after, but she was past her prime too. The pregnancy had taken a lot out of her, and she needed time before she got all her strength back. Any help that was offered to her she was happy to accept. With the rest of her herd helping to pitch in, Emma and Elon were in safe hands. Not only did they have the females looking out for them, but there were also three other calves that they could play around with. These youngsters were the future of the herd, so it was pretty crucial for them to all get along as they grew up together. Luckily, they all appeared to enjoy each other’s company as they rolled around in the mud and gave chase around the park. The miraculous duo has the fortune of growing up in the Tanzanian conservation park where they’re assured protection from the dangers of the world around them. In the 25+ years that the park has been around, more than 1,000 elephants have lived there away from the threats of poaching. With that in mind, there are fewer places safer for Emma and Elon to spend their days, especially with hunters still desperate to get their hands on their tusks. It’s nice knowing that these calves won’t have to live in fear. 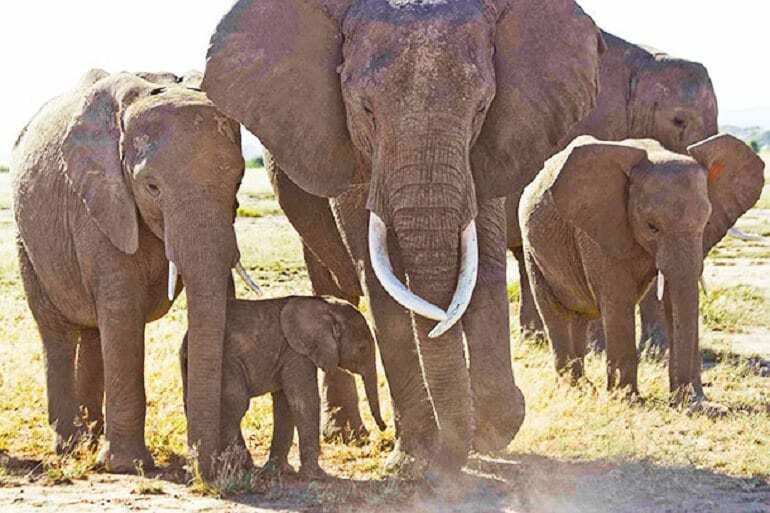 Although the Tarangire Elephant Project does all it can to protect the species, the people there know that the animals’ numbers are still dwindling. That’s why the arrival of new calves is always a momentous occasion for everyone involved. 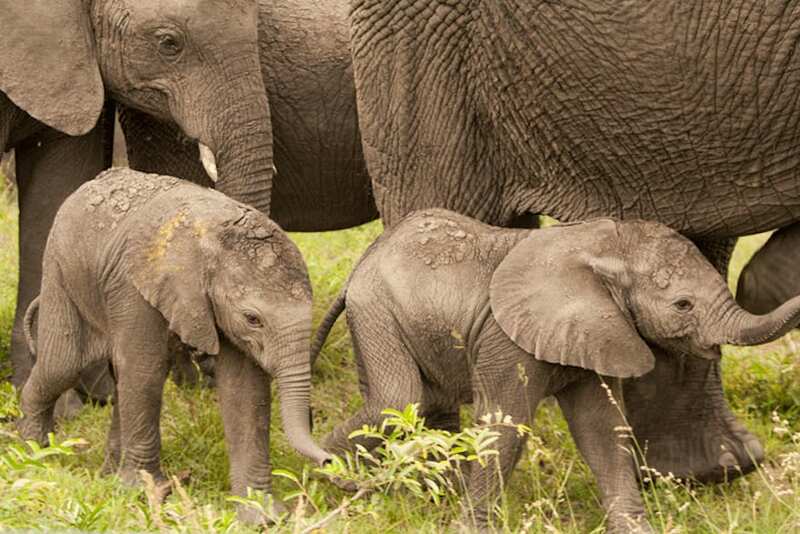 More births mean that there’s a greater chance of the population increasing in number and helping the African elephants to thrive once again. 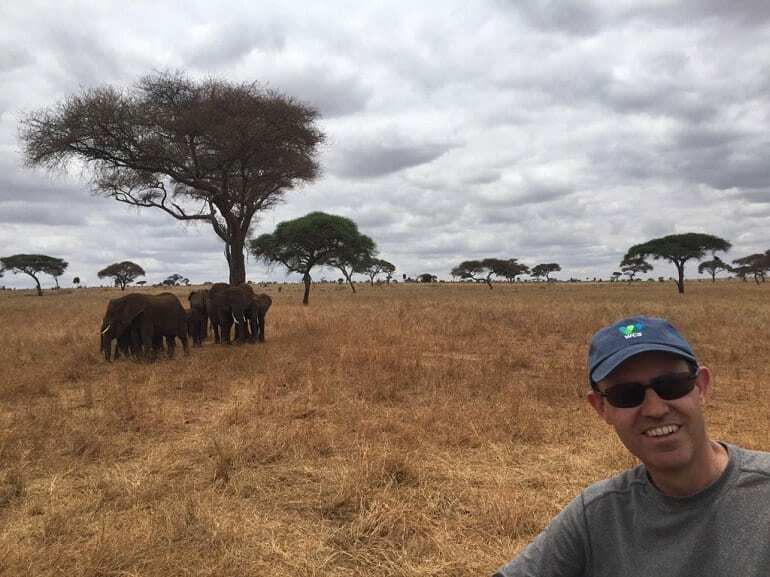 Given that Emma and Elon provided two for the price of one, Dr. Foley and his team couldn’t have been happier to see them roaming around the park. 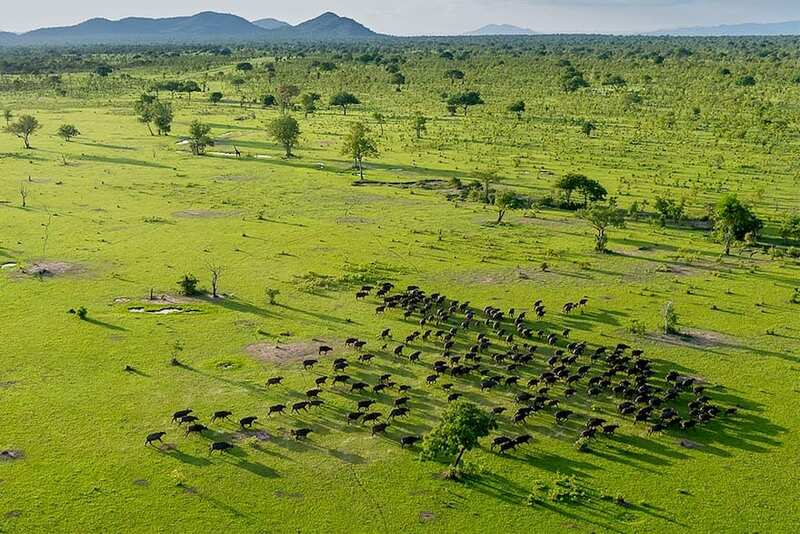 Without the work of these conservation parks, the African elephant population wouldn’t stand a chance of surviving in the wild. Poaching has become such a severe problem that human intervention is the only way the species can avoid becoming extinct. 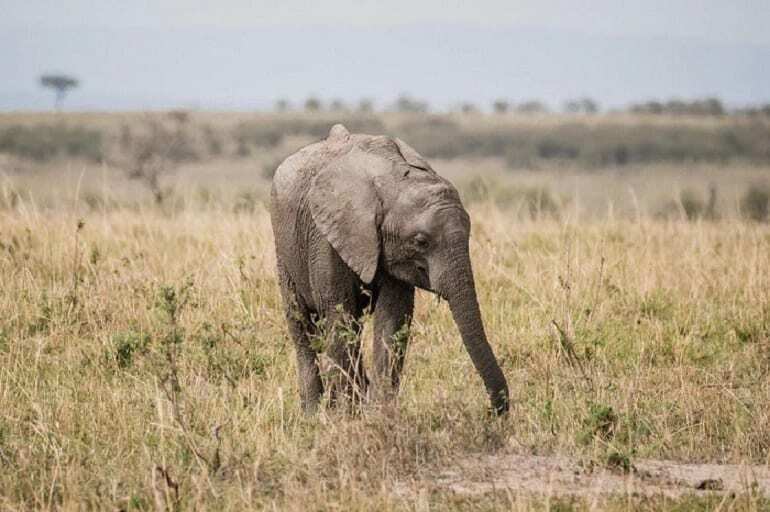 It’s a horrifying reality to face, but with 90% of the elephants in Tanzania losing their lives over the last four decades, there’s no way to sugarcoat it. The animals are in great danger and will stay that way until these conservation parks can help their numbers grow once again. Sadly, these parks aren’t foolproof. They cover such an extensive plot of land that it’s easy to lose sight of some of the animals. 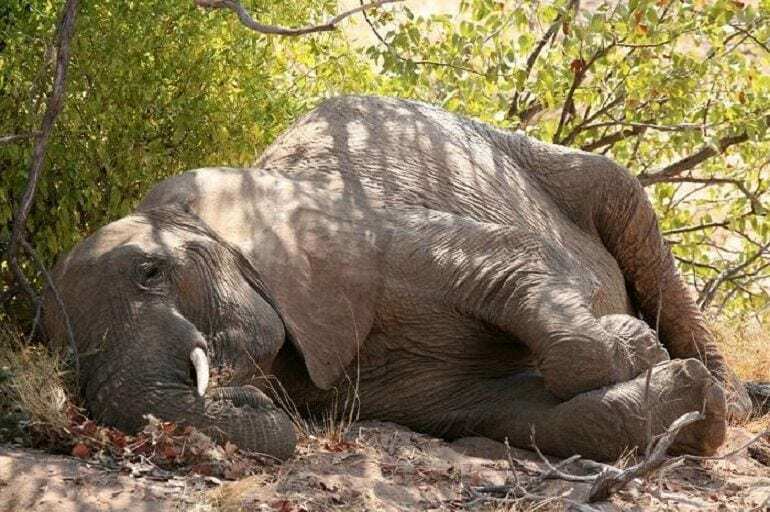 Over at the Selous Game Reserve, around 25,000 were hunted down by poachers in the space of four years. The problem was that the conservation area’s immense size – it’s bigger than Switzerland – made it extremely easy for people to get close to the elephants without being spotted. Thankfully, the government discovered a way to stop these hunters in their tracks. 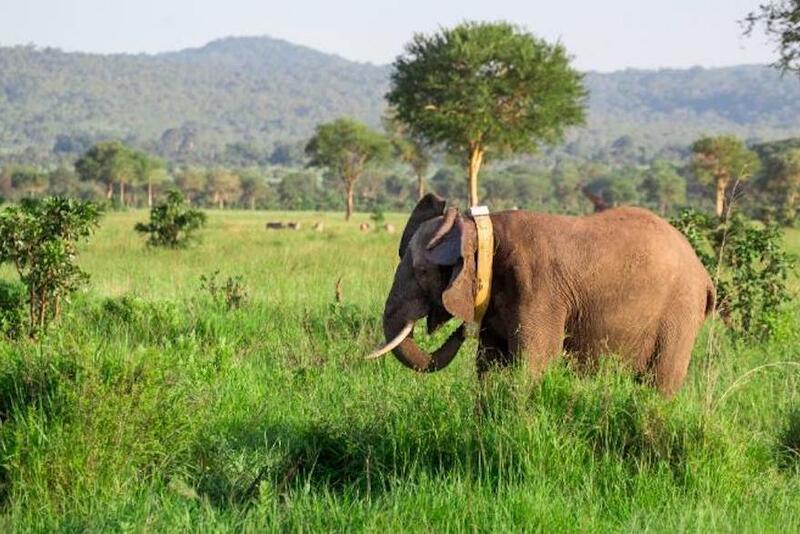 Working in collaboration with the World Wildlife Fund, they devised a project that would see the elephants in the Selous Game Reserve receive GPS collars. 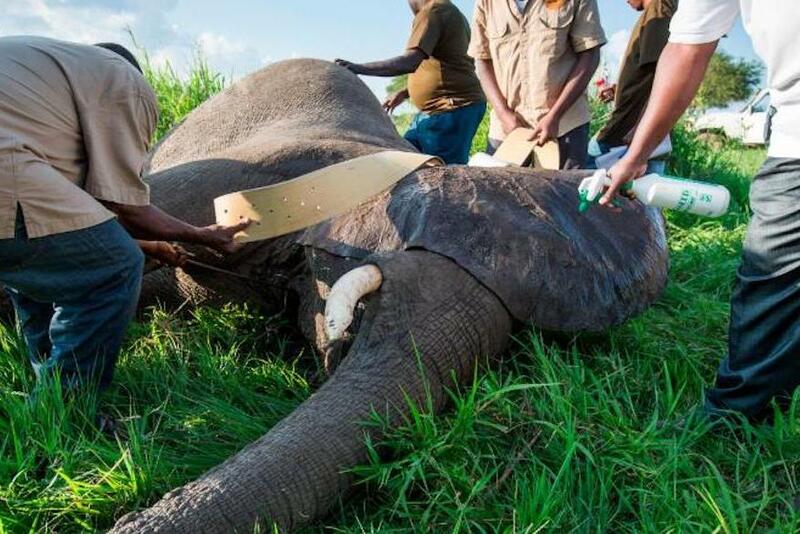 They trialed these trackers across a 12-month time span, during which time 60 of the elephants in the park were tagged. Considering the enormous size of the reserve, these GPS collars were essential for keeping an eye on the elephants when the rangers weren’t physically watching them. They would know as soon as the animals were in danger, allowing them to respond quickly. Of course, attaching a giant collar around an elephant is easier said than done. The process isn’t the simplest thing to do and requires the animal first to be sedated so that it doesn’t put up a fight. 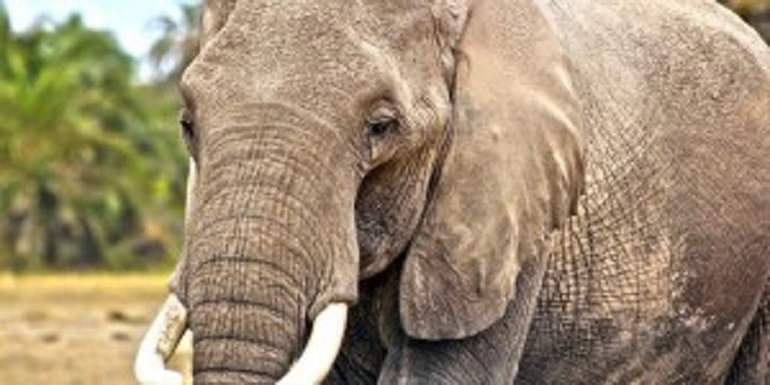 It can take up to 30 minutes to get the collar around the elephant’s neck, but the time-consuming activity will definitely pay off in the long run. Thanks to these simple devices, the species might be able to avoid extinction and once again thrive in the African wildlife. This GPS tracking system isn’t something that’s utilized in other conservation parks, including the one where Eloise and her calves live. However, there isn’t so much of a need for them here. The park is much smaller in size, and the prevalence of rangers helps keep the elephants safe from poachers. Plus, the area is incredibly popular with tourists, meaning anyone with bad intentions is dissuaded from trying their luck with the elephants here. That means Eloise, Emma and Elon can enjoy the rest of their days there in peace. 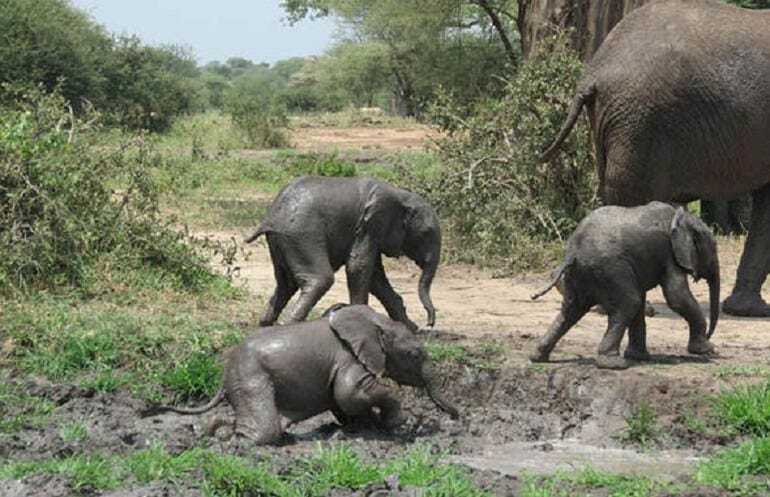 It seems that the popularity of Tarangire National Park is doing amazing things for the animals living there. 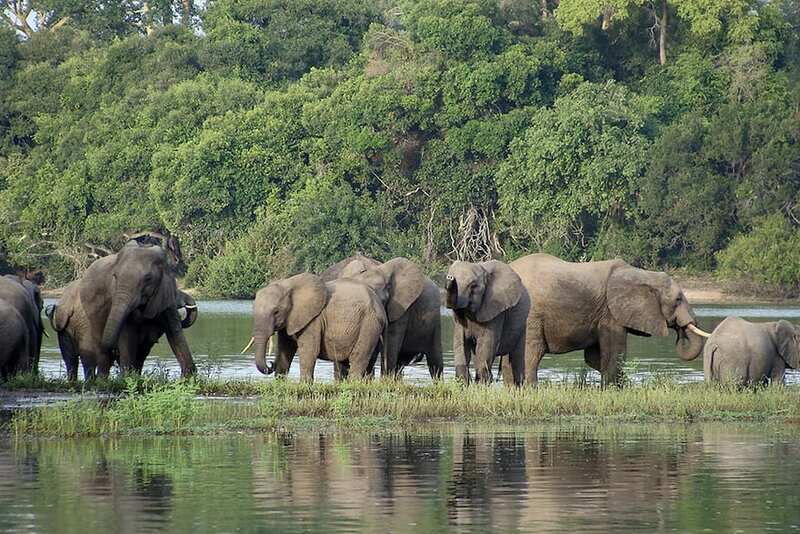 A Great Elephant Census was carried out in 2014 to see how the species is doing across Africa. 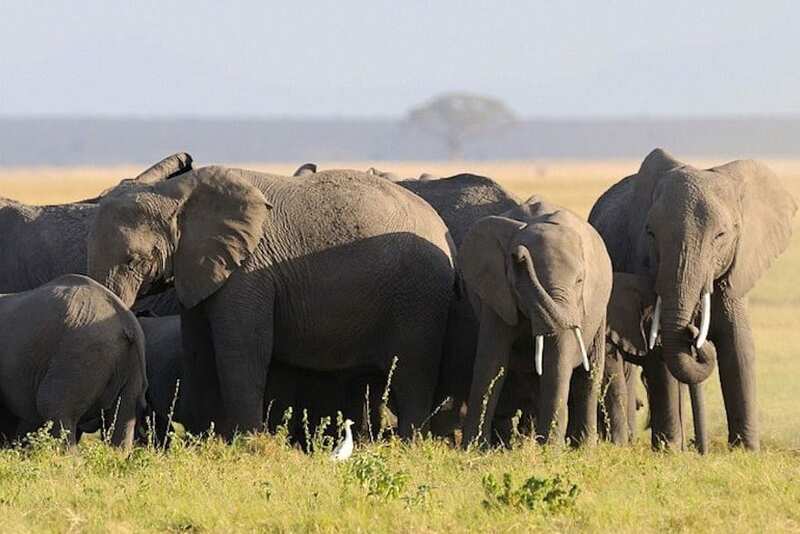 Although many of the parks in the continent recorded a decrease in population, Tarangire was one of the only places where the animals appeared to be thriving. Their numbers had increased, with Dr. Foley going on to say that none of the elephants he’d watched over had been lost to poaching. Hopefully, with Tarangire’s elephant population increasing, other parks will soon start to see a similar pattern. If the species continues to pop out multiple calves when they give birth, then we reckon there’s a good chance of that happening. 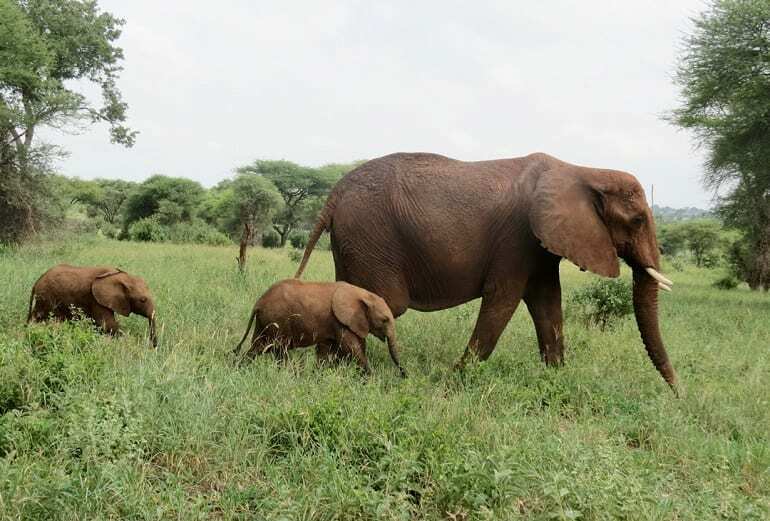 In May 2018, an elephant in Kenya followed in Eloise’s footsteps and gave birth to her twins, Norah and Kaito. 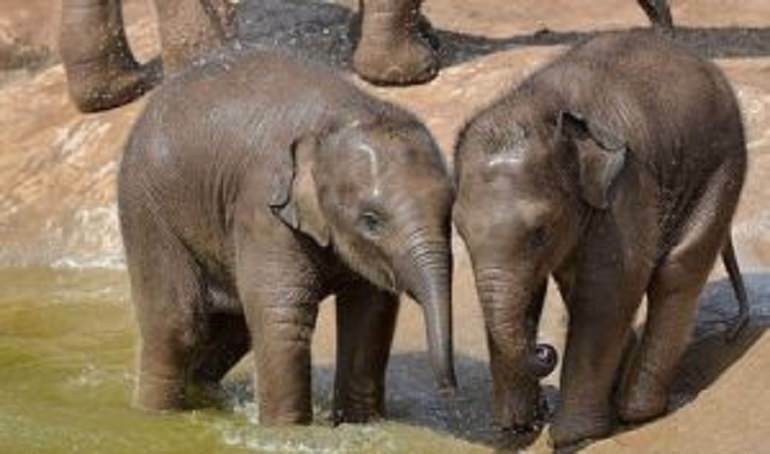 It had been 38 years since this momentous occasion was last recorded in the country, so the arrival of the two baby elephants was definitely a pleasant surprise. Considering how much their numbers have decreased over the years, it’s nice to have some good news for this endangered species. There were so many reasons why Eloise’s birth was miraculous. 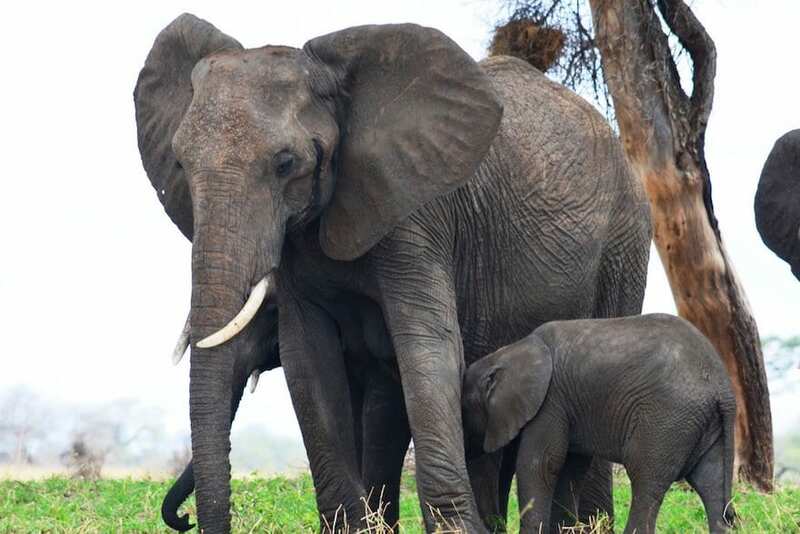 From her age to the fact she produced two offspring, it’s all miraculous, but the arrival of any new African elephants is always a cause for celebration. 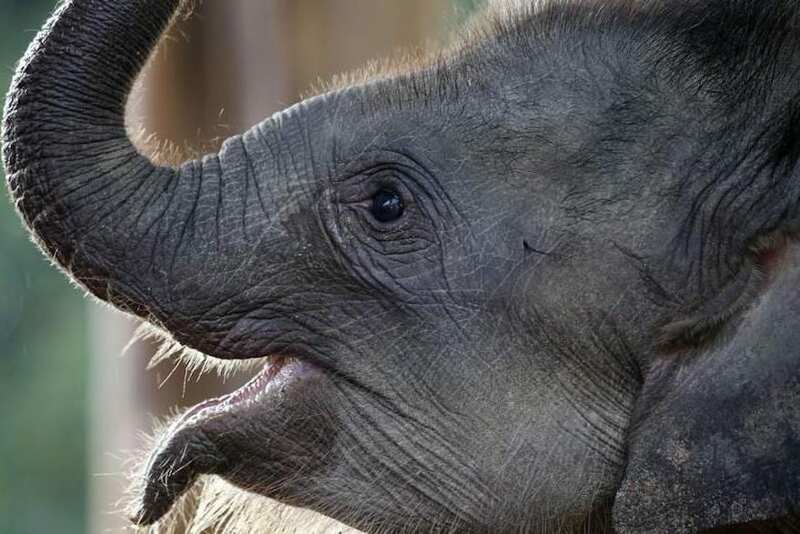 We’ll cross our fingers that Emma and Elon are only the first of many new elephants to bring their species back to the incredible numbers they once recorded.